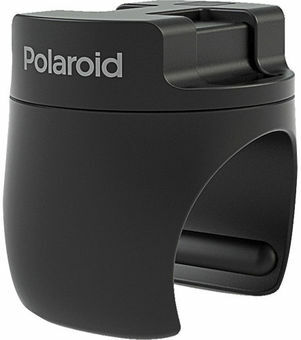 The Bicycle Mount from Polaroid allows you to attach your CUBE action camera to any handlebar 1" in diameter. Two rubber shims are included to provide a secure fit around slightly smaller diameter handlebars. The platform rotates left and right for adjusting the camera angle, and a quick-release clip comes included for attaching and detaching the camera.